This brief article will explore why a photographer took pictures he (IMO) should have refrained from taking and why the industry – both print and NGO – promoted them without seeing what they were. 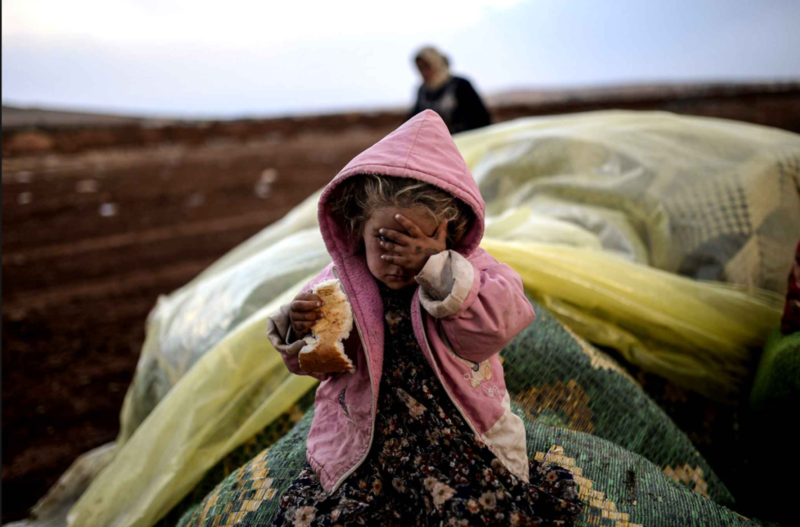 The caption runs: “A Syrian Kurdish woman and her baby on Thursday in the Rojava refugee camp” Financial Times. It’s a refugee camp and thus, by definition, this lady and her child are vulnerable people fleeing a warzone and trapped in no man’s land. Is there not more at work here than simply ‘a woman and her baby on Thursday ? Does the raised hand blocking the line of sight to the face, which is turned to the side while the child is held, along with the soap, as far from the intrusion as possible indicate an encounter ? Is she waving goodbye after a chat ? Doubtful, the physiognomy is too strong and defensive, the elbow raised high and out to thrust out the hand to create a safe space while the hand itself is flat, flaying like a cockerel its widest protective form as if to block something. This is an encounter in which a woman is in the simplest possible way indicating with what power she has left the message ‘please do not photograph me’. Therefore, meaning wise this image equals nothing as even without an identity or name to attach to it the subject or context of a strong photograph in its essence communicates the soul & voice of that subject. Unfortunately those human traits are impossible to communicate if the subject in the image is unwilling as above and is thus objectified into a soulless commodity along with her child. 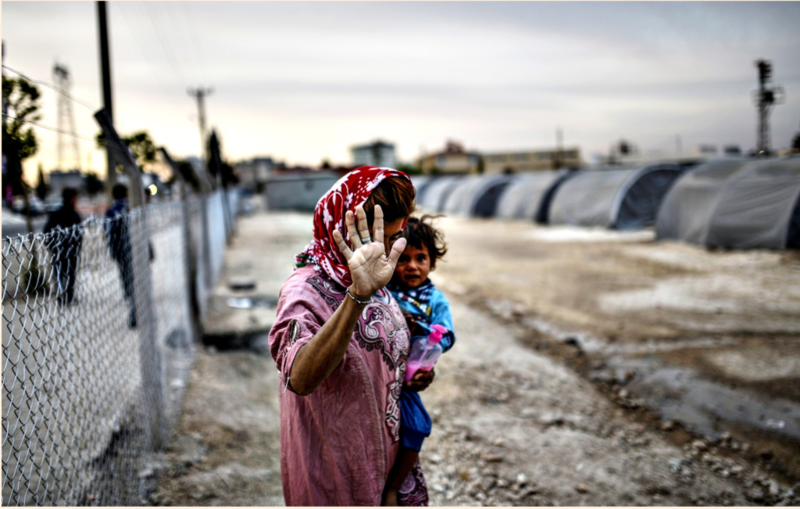 Taking pictures of vulnerable people is and of itself not a crime morally or any other way. However, shooting vulnerable people who do not wish to be a part of the western news reel if they’re ‘lucky’ enough to be fashionable enough for our consumption at that particular moment is wrong. And to all those that republished and promoted the shot they are simply not visually literate, morally imbalanced, ignorant, arrogant, or all. I understand freelancers have got to survive and in order to survive they have to create content but where is the line between the commodification of suffering and telling stories ? And how do such images get through an editor’s supposedly learned gaze and get showcased to the world as somehow informative and beneficial of the people concerned within them ? Two points here: First, this child does NOT want her photograph taken, she has NOT given her CONSENT. She’s not playing a child’s game of peek-a-boo like children do. She’s hiding behind her hand, using it to defend herself and sneaking a peek through her right eye to see if the intruder into her space has gone away. Her ‘meal’ of bread remains in the hand because she’s hungry and does not want to soil it which might be the reason her facial features speak not of joy but are sterile, her mouth is drawn down, there is no smile present, only sadness only remains behind her last defence, the left hand barely large enough to be guarding what’s left of her dignity after God knows what forced her to this place. Did somebody from Care International actually look at this shot ? Did they see it ? I propose not as these kinds of visualizations in no way humanise the suffering within them as the sole purpose is to create an aesthetic out of a situation in which the ‘models’ clearly wanted no part in being scrutinised. Read raised hands attempting to protect the face from view, analogous to reaching out in front of you to break a fall. A basic survival instinct and ironically the metaphorical fall these people are defending themselves against is their supposed saviour, the affluent spectators & would be NGO donors viewing the image. These subjects don’t even want to be looked at and so for them to be used in promotional material is the ultimate irony. 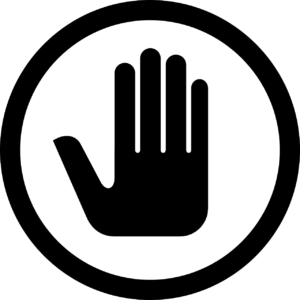 And so is it inconceivable to think if all someone has left is the physical barrier and universal sign of ‘please stop’ – the hand covering the face or thrust out- then we should respect it and just stop. Stop shooting, stop looking and stop encroaching. Just stop. At best these images are the artificial fashioning of an implied situation and at worst, crude exploitation of those who suffer to fill copy for magazines and promotional campaigns. With that said I don’t blame the photographer for taking these pictures. I blame the industry for publishing them and, moreover, for creating the space, creating the very market for them which in turn feeds into the (any) photographer’s head that this is the stuff they want, what we the audience want and above all what humanity in general both wants and needs. This industry is a business and it appears at times a business that pressures field operatives to produce the most sensational, aesthetically pleasing and saleable images they can no matter the human cost to those within the images, to the photographer who took them or, indeed, the ethical cost to the industry itself. And if what we’re doing in this business is trying to help, then it seems we’re willing to help by forgoing the dignity of those photographed in order to entertain an ever more insatiable appetite for objectified misery adorned in pretty colours. Let’s just forget about the subjects, they’re just powerless mannequins fashionably arranged in a 35mm shop window for us all to enjoy at leisure, whether they like it or not. Or so it seems. ‘Can(‘t) you see’ what I mean ?